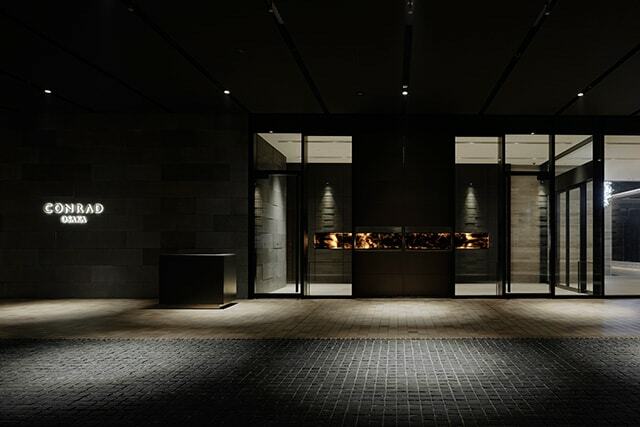 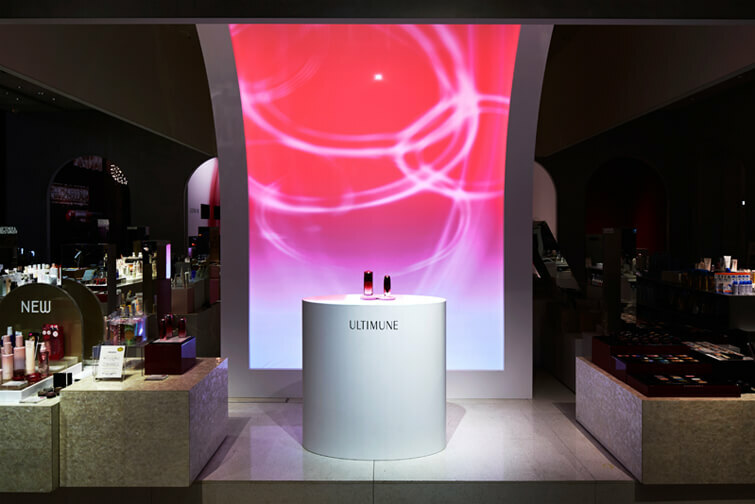 By combining white projection and red LED lighting on a curved screen and utensil inspired by bottle design, gradation light with vivid yet soft texture is produced as a high-quality wrapping for the cosmetics bottle and space. 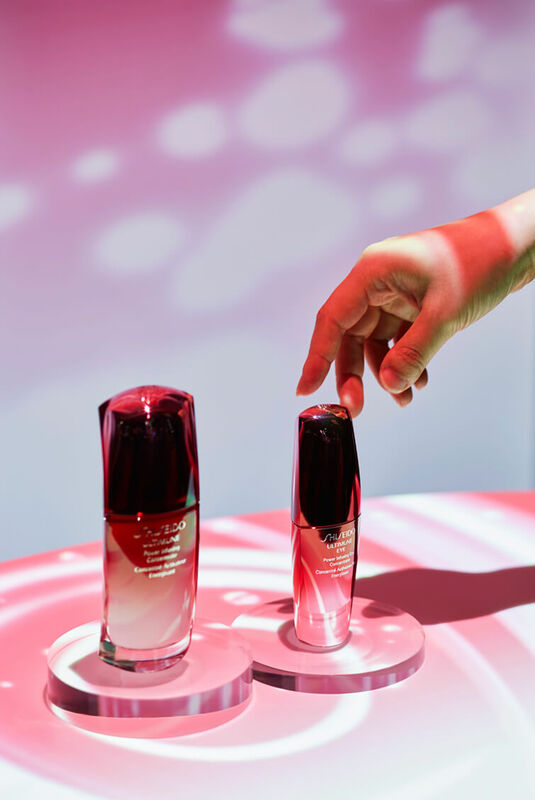 As one’s hand approaches, effects and sounds play to illustrate the product’s barrier concept as it is wrapped in pleasant light. 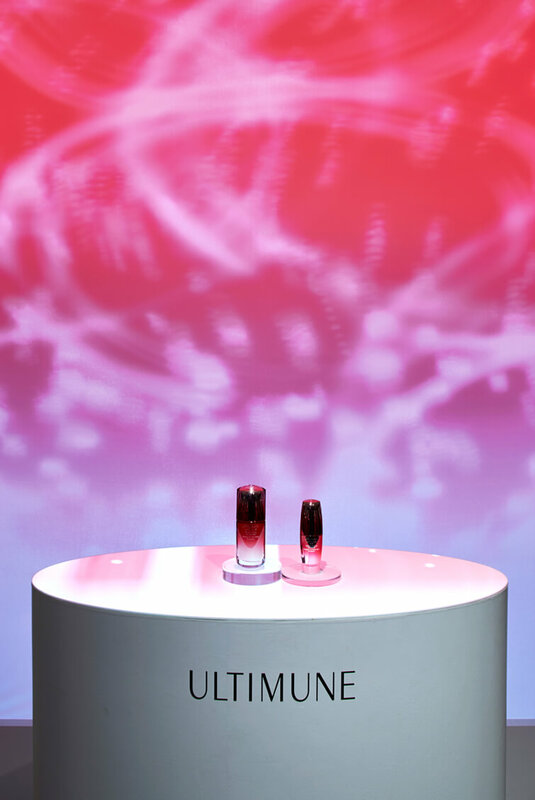 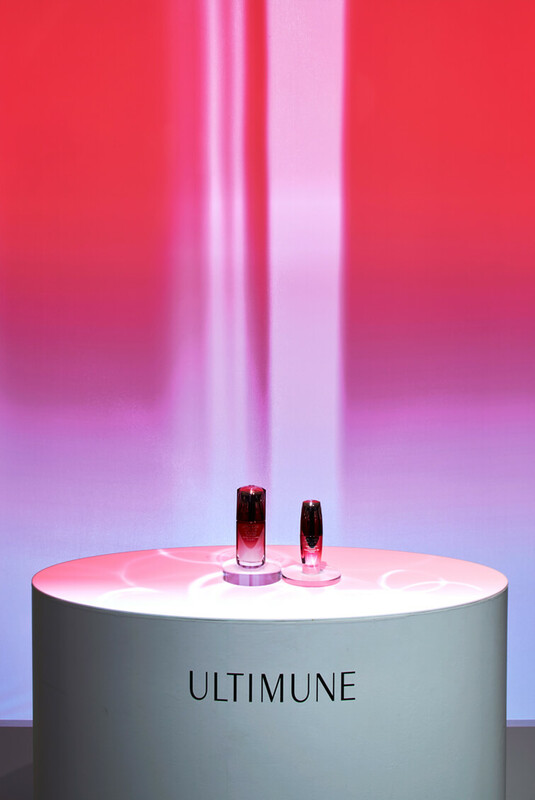 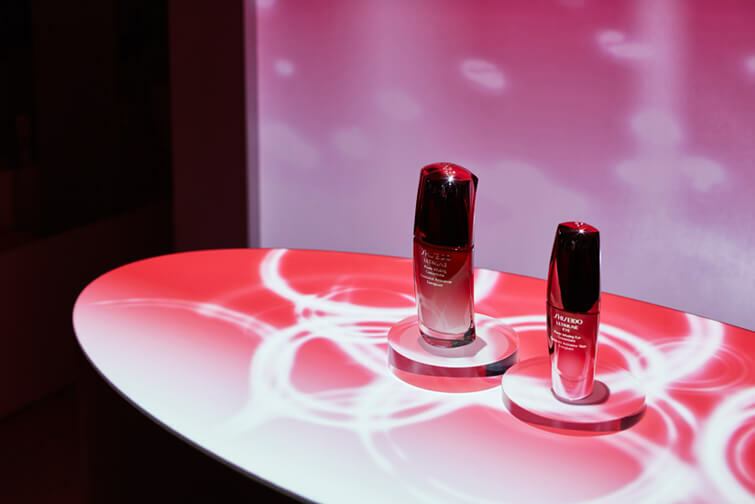 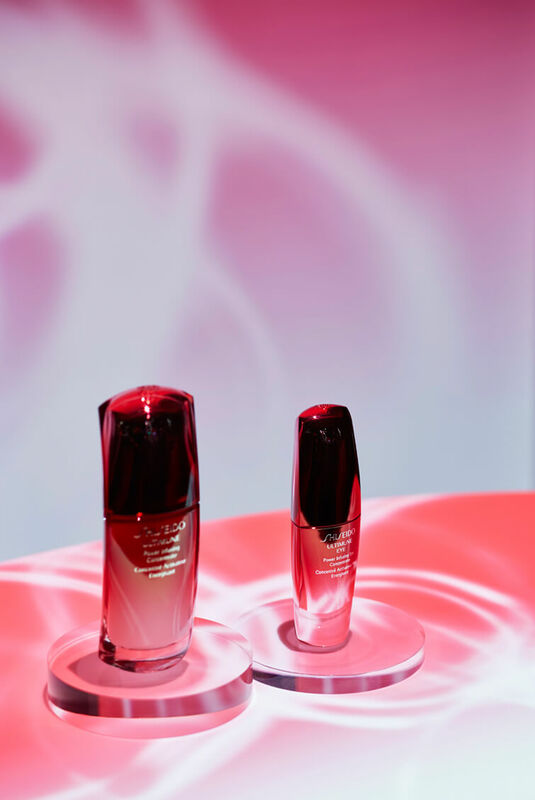 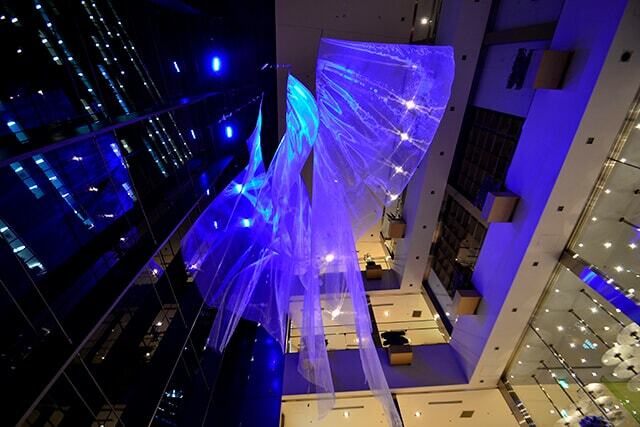 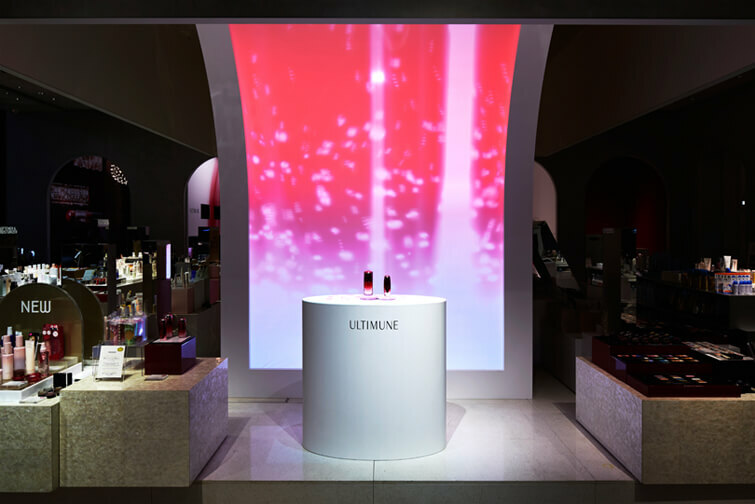 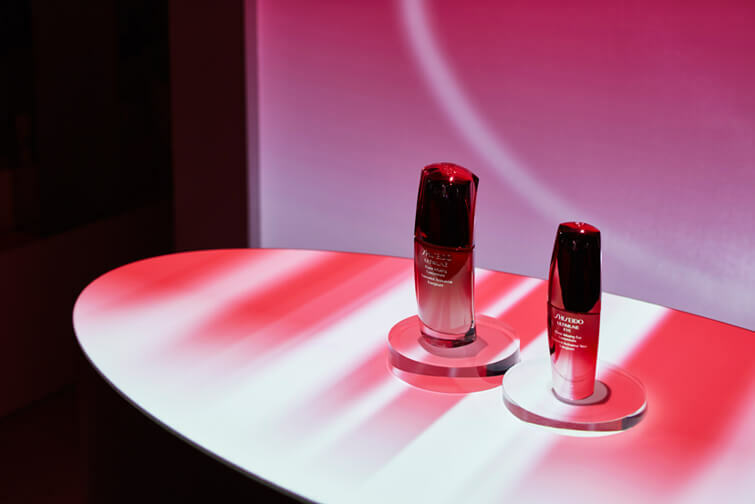 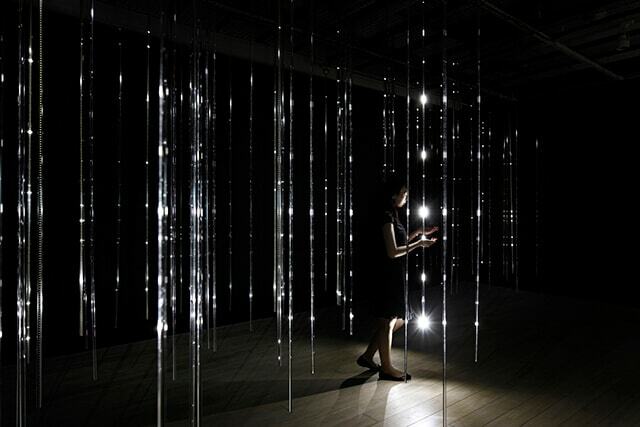 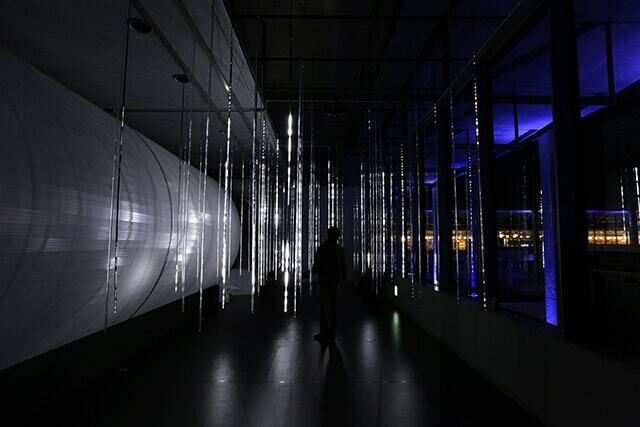 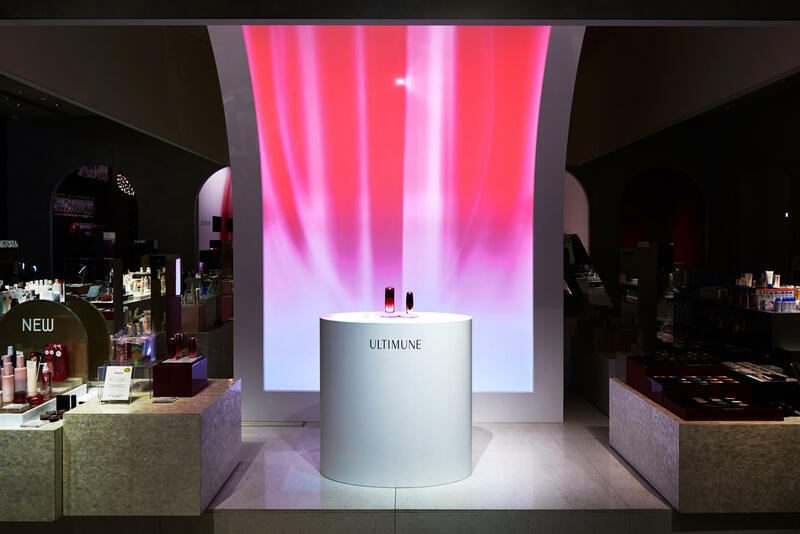 Installation display for Shiseido’s Ultimune essence.